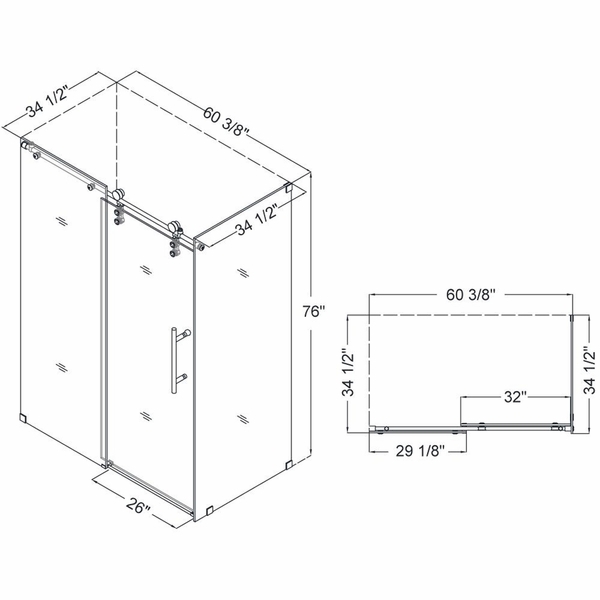 Door walk-in: 32 in. ; Stationary panel: 29 1/8 in. Return panel: 34 1/2 in. 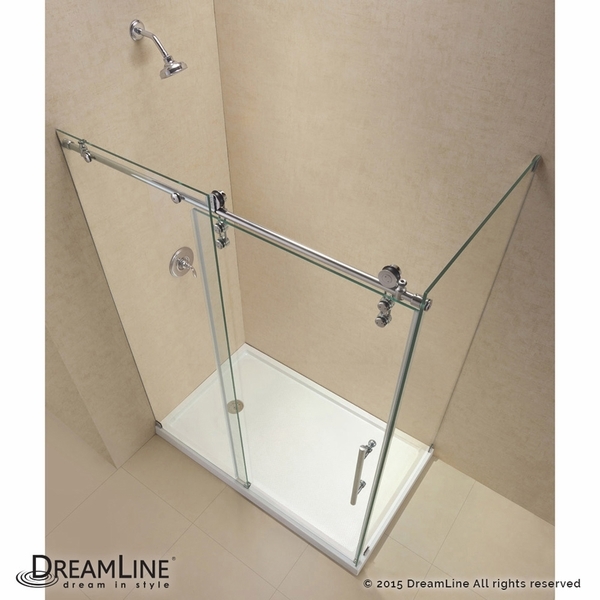 Standing proudly at 76 inches in height, the Enigma-Z sliding shower enclosure features a frameless design, and effortless sliding operation. This model's dimensions are 34 1/2 inches in depth, and 60 3/8 inches in width. 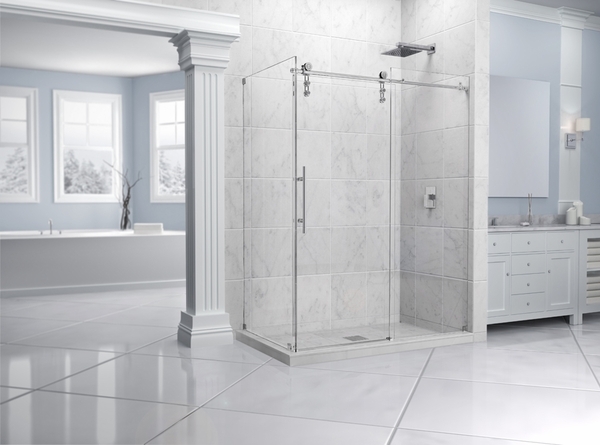 It's the optimal size for a luxurious shower experience. 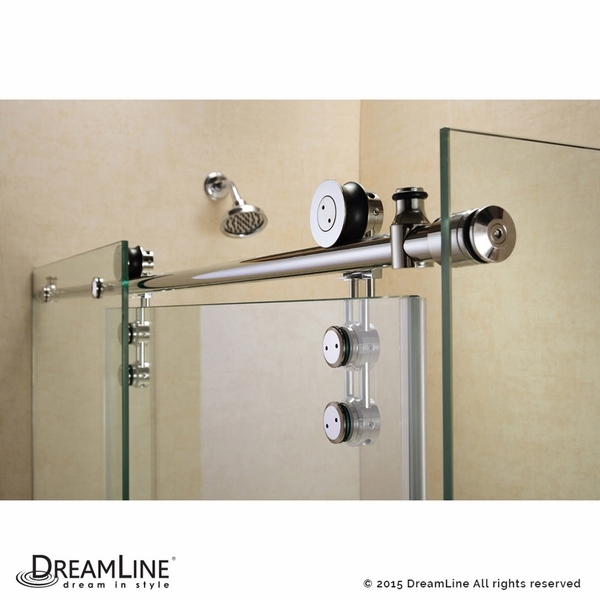 This shower is the epitome of style and class, with its gorgeous stainless steel fixtures and beautiful clear tempered glass. 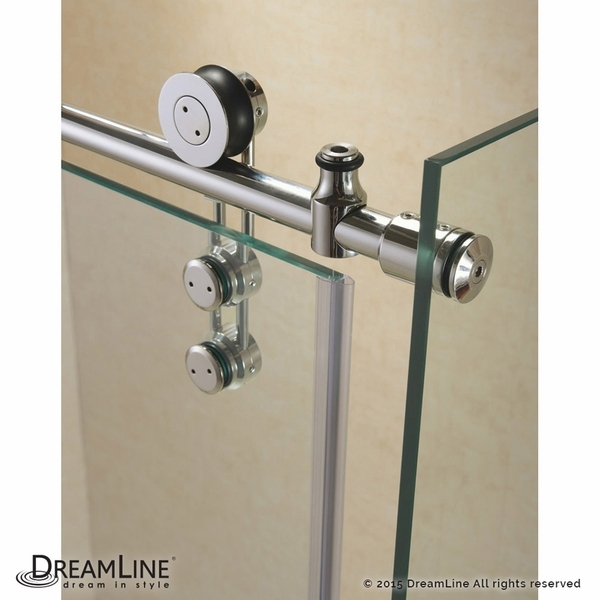 Its frameless design looks flawless anywhere, no matter what your decor style is. The sliding operation won't give you any trouble either - the doors of the Enigma-Z are always ready to open, and allow you to take yourself away.